The new unwillingness to fight rule in fencing has created a lot of confusion among fencers, even veteran fencers. It’s something everyone has been talking about since it went into effect earlier this year, and we’re always working to find new solutions for fencers who need to address problems like this one. With this new rule, fencers must constantly be aware of the clock. With this new rule, if you don’t keep track of how much time has gone by then you might be in for a rough surprise in the form of a p-card! That’s hard to do in the middle of a fight when you’re also worried about your opponent getting a point against you! Even when the scoring apparatus has a timer, it’s hard to keep track of how much time has elapsed since the last touch. That problem gets even worse for a fencer in the middle of a fight when there is no timer on the scoring machine, with the ref using his or her own timer or their smartphone to direct the bout. 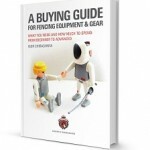 A lot of fencers have gotten caught getting a significant number of p-cards, including p-red and p-black cards as a result of these simple confusions. Is there no way to better manage this problem? Surely there must be some answer to save us from the terrible fate of getting carded in a bout for something so simple and easy to track as the time? Advanced Fencing Microchips company (AFM for short) has developed an advanced technological device that helps fencers to cope with difficult unwillingness to fight situations, giving fencers their confidence back. It’s the simple, elegant, and perfect solution for dealing with this new rule and getting back on track with your fencing. No more p-cards! You might remember this company for their wildly successful fencing product released just a year ago, the most progressive and patent pending Epee Point Dispensing Powder for foot touches. That product took the fencing world by storm and is now widely used at clubs across not only North America, but even all over the world. We use it in our own club with our epee fencers, and it’s the best thing to hit fencing since automated scoring. Needless to say, when we found out about this new product from the Advanced Fencing Microchips company, we were extremely excited. Piggybacking in that success of that product, AFM is expanding their line of products to help fencers like you. The perfect solution for non-combativity problems! What’s so perfect about this product is the way that it is very simple! Who knew that a problem that is so complicated could be so very simple to solve? All that you do is place the band around your wrist, ankle, or even neck. The latch clips apart with a simple squeeze of the fingertips. The band then notifies the fencer that they are close to one minute without a touch, allowing them to initiate an attack and thus not face a penalty. The notification is made with a small electric shock that passes to the skin via small metal discs on the underside of the band. The voltage level is easily changed through the free iOS or Android app that can be downloaded and paired with each device. The timing of the electroshocking pulse can also be adjusted, so that a fencer can be notified thirty seconds into the non-combativity period or fifty-five seconds into the non-combativity period, or any time in-between. This U2F Band is controlled via simple smartphone application, again supported by either the iPhone or Android device. Through the interface, any user who has a paired device can control the parameters described, timing or voltage level. Voltage levels can be regulated anywhere from thirty volts all the way up to fifty volts. These different voltage levels were designed to accommodate fencers of various sizes and tolerance levels. A smaller fencer might need only a low voltage to alert them adequately, while a much bigger fencer might need a higher voltage. Fencers who have a high tolerance for pain or are easily distracted might not even notice the low voltage setting in the midst of a match, so they can set the voltage for closer to fifty to ensure they are alerted. Veteran fencers will also want to use a lower voltage to prevent any complicating factors related to heart conditions. This device is also a smart device! Through the beauty of artificial intelligence, the voltage level will be automatically increase with each p-card should a fencer ignore the device’s warning and get a penalty for unwillingness to fight. This gives the fencer an added incentive to get going into combat! There are so many incredible features for this device, almost too many to mention! It’s truly a marvel of product ingenuity and innovation. We can’t believe it’s made it to market so quickly following the implementation of the non-combativity rule. The USB-chargeable device means that you can just plug in the band to fully charge in only four hours. Once charged, the band can discharge up to thirty electroshocks of fifty volts each. This will guarantee that your U2F band will last through even the longest competitions. You’ll get support in every bout, whether you’re at a local fencing competition or at a major fencing competition that is highly attended like the Junior Men’s Epee at an NAC. You or your fencer will progress through all the way to the final without concern over non-combativity penalties! That long battery life will make all the difference, and you can charge it either with a wall plug or even in your car. It’s really perfect for fencers on the go. The phone app allows either a parent to control it, or more importantly for the fencing coach to control it. Already many fencing coaches are finding that they can better enforce their fencer’s lessons on combativity requirements with the amazing app, and also they can add several fencers at once to one single app. Every fencer is different, so coaches now have the chance to make the right call for each fencer! Manual mode is another awesome feature. If the coach is seeing that the fencer needs a bigger reminder not to go to U2F mode, he or she can press a button on the application to shock the fencer with a set voltage, or they can change the voltage right from the app to increase the incentive. This has the potential to be helpful not just for passivity problems, but also for added behavior modification on all sorts of fencing issues. Imagine less yelling at a fencer during a match to get them to change course! Now the fencing coach can just send out a little shock to get them back on track. As fencing is of course not just an American sport, the smartphone app can understand a wide variety of languages. That’s how the real brains of the artificial intelligence in the app can help fencers no matter where they are in the world. The application timer is activated by the voice control and thus closely follows the referee’s instructions. Currently it reacts to the commands in several languages, such as English “Fence”, French “Allez”, Russian “К Бою. Готовы? Начали!”. Additional language support will come with the next application update, expected to roll out later this year. The application can understand when the referee has stopped the bout, when they have awarded a point, or when they have described the phrase. It automatically logs the time so that it will accurately know when to shock the fencer. The band is made of non-toxic advanced rubberized material and is available in a rainbow of colors – black, red, blue, green, and pink. It can attach around the arm, the ankle, or even the neck, depending on where a fencer is most comfortable getting shocked. It’s important for safety that the device doesn’t come into contact with metal jewelry, but it is water resistant. In fact, sweat actually increases the connectivity and helps the device work better! Through Bluetooth technology, the phone application can communicate with the band. The application on the phone communicates with the device via Bluetooth, thus distance is important. Do not try to guide your fencer from the other side of the NAC venue via the application because who knows, maybe some other fencer who is not your fencer will have the device and could be shocked by mistake, jumping into attack. How to get this amazing new device! Field tests showed that fencers who use this advanced technology are never p-carded and are tactically superior to their opponents. Results of the field testing were very positive in recent months, which is why AFM is happy to be rolling out this product so quickly, in time to help fencers qualify for Fencing Summer Nationals! There have been a few instances of issues with the device giving unwanted shocks to fencers during field testing, which is why we must communicate this warning. 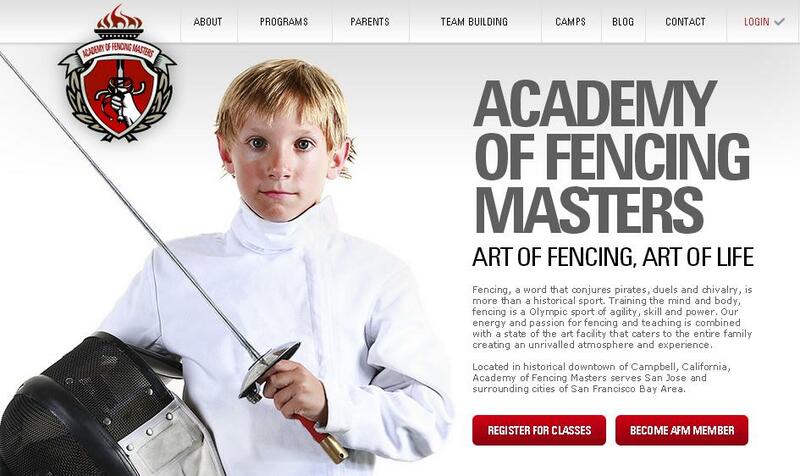 WARNING: Do not allow your toddler to play with your iPhone or Android device on this app while your fencer is fencing. The interface looks very much like the popular game Candy Crush, and several fencers received unwanted shocks due to small children playing with the app. The first product will be released in a LIMITED QUANTITY! It is available today only, APRIL 1st, 2019. If you are interested in learning more about this advanced fencing device technology, please leave your comment below. Definitely am interested in the device. I was at a tournament all day Saturday and saw both fencers in the bouts constatntly look back at the score clock. As if they don’t already have alot to think about. I’d like more info on this device and how to buy it. I would be interested in this new device. Where do I get it and how much is it? Just one suggestion: the voltage range of 30 to 50 V may be too limited for some fencers who could use extra encouragement. Ah ah ah ! I laughed a lot. It is so good to laugh like that on monday ! This is a real and good April Fool (“Poisson d’Avril”) ! I don’t know if there is an option for a mask stimulation by new voltage, but it’s a really good invention ! Lol just realized this is April Fool’s Day. You got me. Yes please. I’d be very interested in more information and how to purchase this device. Dear all, thank you for your interest in our invention! Unfortunately all devices were sold on April Fools day. But please stay tuned – in exactly a year we are going to unveil even more revolutionary invention!